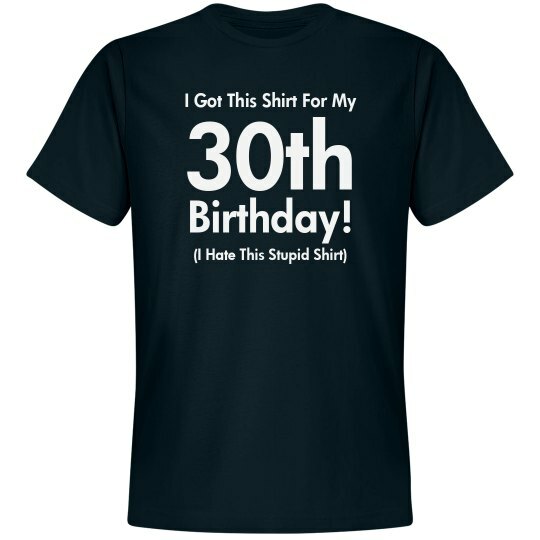 Looking for something to give to a friend on their 30th birthday? 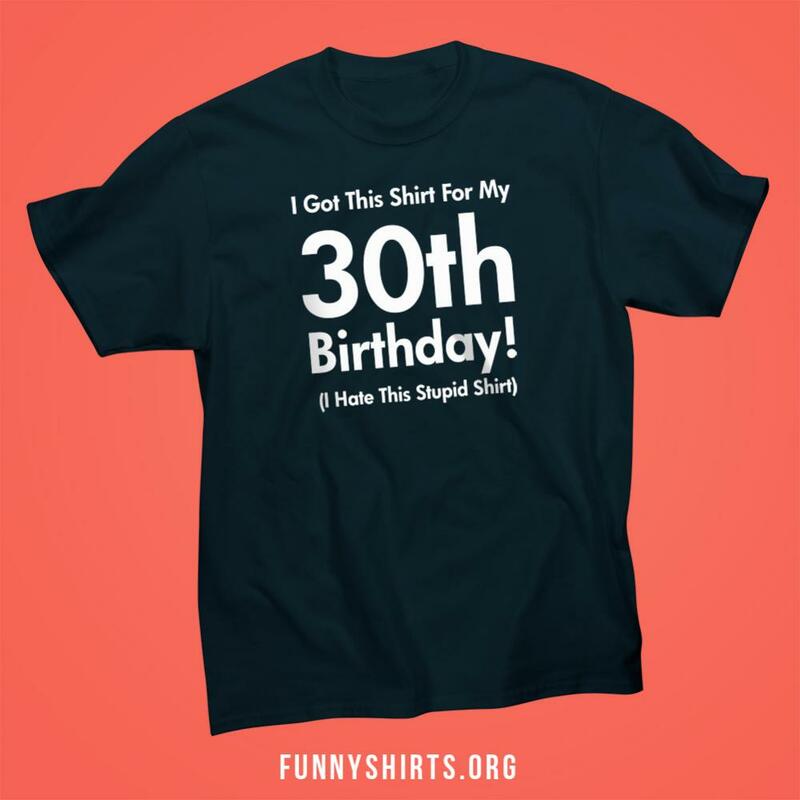 Get this "I got this shirt for my 30th birthday! 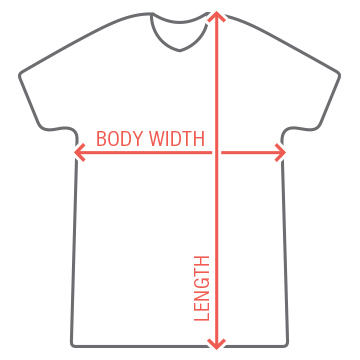 (I hate this stupid shirt)" t-shirt. This shirt is guaranteed to make anyone smile on their big day.